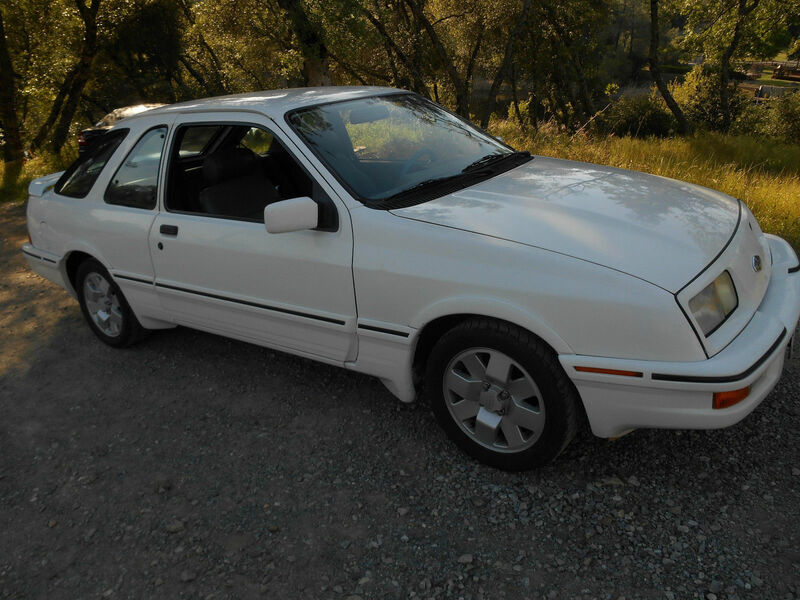 Find this 1988 Merkur XR4Ti here on eBay bidding for $1,575 with auction ending Sunday at 7:03PM Pacific. 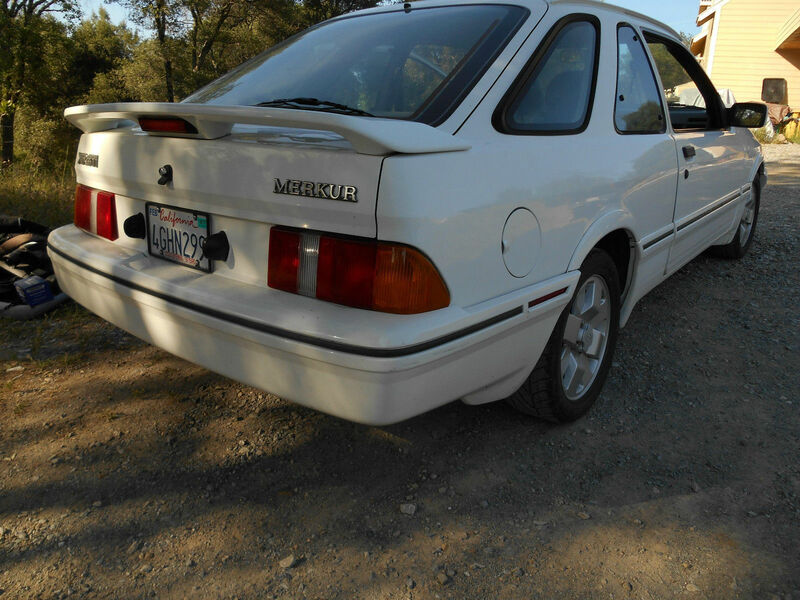 On May-13-16 at 09:51:49 PDT, seller added the following information:This Merkur was purchase in Redding California by a Ladie and I am the second owner .The miles are true and DMV records to prove it . On May-14-16 at 08:39:35 PDT, seller added the following information:This is a Factory Manual Car .I selected the wrong transmission in the add when I started the add .Ebay will not allow me to change it . The Vin Code will state its manual . Is the passenger seat covered in leather while the drivers is in cloth? I can't tell for sure, but I think it is. Either a very nice cover or he had the driver's seat reupholstered, I think all those were leather from the factory and none looked like that. At the current price it could be quite a buy, see where it ends up in a couple days. 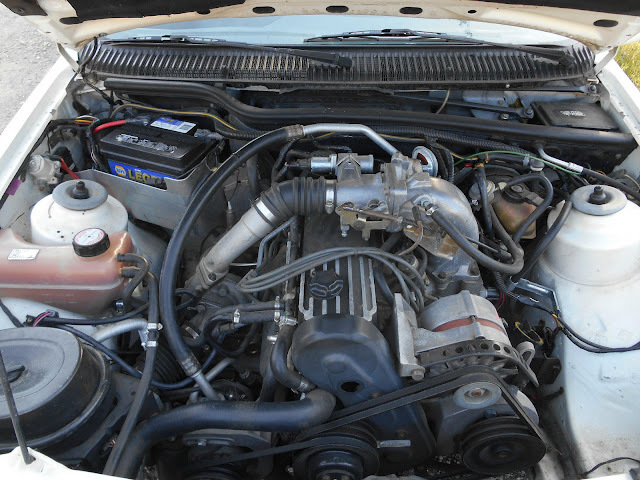 The T5 swap is common in these, they were the only OE application for the Euro Type 9 transmission in the US and it was borderline. Seller's grammar and spelling needs a little polish. That's a little less than a thousand miles a year average, if accurate. 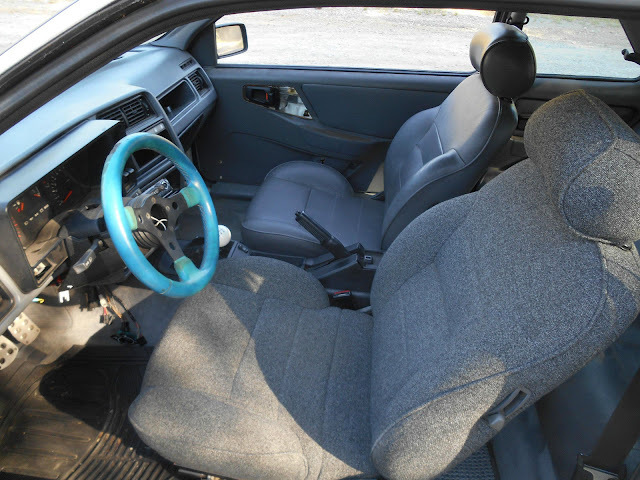 Cloth was available, a very low pile grey fuzz, actually quite grippy, otherwise the leather or cloth seats were identical in shape. Agreed though, reupholstered or cover its a pretty good fit. Alas, as most Merkur's have gone, I think this one has been neglected. The owner(s) only applying "upgrades" as stuff failed. Really too bad, in the context of the time they were fun cars. Not track cars, but great GT cars. Ford could have made the cars really spectacular, Cossie and Sapphire anyone, really sad. I don't know, with a five digit odometer, I'd have a tough time saying it's that low unless he has records. I bought an '86 Mustang last year that showed less than fifty thousand miles, and looking at the car overall, I'd say it has less than fifty, but with no records I can't say for sure.